Getting quality content marketing on to your website is just half the battle. Once you’re convinced you’ve got your messages just right then it’s time to take a long, hard look at just how effective your content actually is and if it’s working exactly how it should. With just a little exploration into your metrics, you can give your content a clean bill of health or decide which content is making the rest of you site unfit for service. There are several ways to measure the effectiveness of content marketing, the most obvious being through data analysis such as Google Analytics. But this yardstick alone does little to reveal the deeper issues of your content. To probe deeper you’ll need to use a more well-rounded set of metrics to measure how many people are viewing, sharing, returning and engaging with your website. You should consider which pages are visited most frequently and the average length of time visits last. Brian Delafonte, a Marketing Manager at Writemyx, said: “If you just look at website traffic you’ll be missing out on some crucial data. You want to know which content works and which isn’t going anywhere near achieving your goals. Once you have a wider picture, it becomes much easier to make some good decisions around your content marketing strategy”. You need to measure more than just traffic and another metric to bear in mind is how your list of subscribers has grown. If you spot a spike in the number of visitors signing up to your email list then check back and see if you made any changes to your content or advertising strategy during that time. Use that information to define further engagement on social media or elsewhere. Make sure that as well as the numbers, you have a clear idea of where these new subscribers have come from and flag the more successful sign-up locations. Be sure to compare the number of subscribers you have gained with the number who have unsubscribed to get a bigger picture. While it may be satisfying to see lots more visits to your website, if they’re not staying to read, then your content marketing is missing the mark. Set time aside to figure out how many minutes, on average, visitors stay on your pages and which pages have the longest and shortest read rates. According to Laura Hubbard, a Content Writer at 1day2write and Originwritings: “You need to consider why some pages are attracting longer visits, for example, are visitors staying to watch your video clip or skipping it? This will help you choose what’s helpful and what’s not”. If you have a solid social media strategy you’ll know that, like website hits, volume isn’t everything. Measuring social media interactions is another worthwhile metric and gives you a direct link to the audience you’re trying to engage with. Don’t just measure how many people liked your Facebook, Twitter or Instagram post but also how many shares and retweets it attracted. Were there any direct messages or comments to consider, how and why did people engage with your posts and tweets? Consider the response to your posts as feedback. It’s a useful tool for hearing back from customers directly as to what they think about your content. If you think more feedback would be useful, then direct mail, surveys and social media posts are a great way to hear directly from your site visitors and potential new customers. Seeing the bigger picture is a crucial part of measuring response and engagement with your content marketing. While it is tempting to simply measure the metric that makes you look the most popular or gives you the greatest number of visits, this alone won’t show you what’s really going on page-by-page. Don’t make analytics a part of your evaluation that only crops up once in a while on an ad hoc basis. 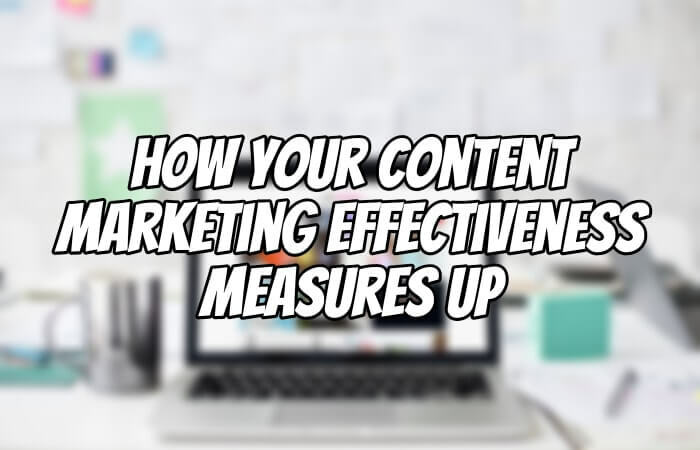 Instead, make time monthly to schedule a series of metric tests and make sure you’re getting the best from your content marketing. Margaret Riehle works at Academic Brits as a recruiting analyst. She enjoys spotting business trends and blogging about all areas of business.